The DCH133B 20V MAX XR Cordless Lithium-Ion Brushless 1 in. D-Handle Rotary Hammer is a compact light weight high-performance rotary hammer that has a durable German engineered mechanism that delivers 2.6 joules of impact energy. At the heart of this tool is the Dewalt brushless motor and durable rotary hammer mechanism. With its better than corded speed of application, compact size, light weight and balanced design, this hammer can replace your corded tool. The mechanical clutch enhances user control in a bind up situation and can help minimize sudden torque reaction. I personally have owned this for about three months but have used my company’s for about two years now. This tool makes the job go by way faster. Don’t need to look for an extension cord or plugs to use this. No cords wrapping around you or in line of sight. Easy to use on ladders or lifts. I’ve had no issues with all kinds of batteries. it’s light weight and delivers plenty power. I recommend this in any industrial, commercial, or residential work field. Beats regular hammer drilling hands down. Throw a 60v battery in there and it last alot longer. Way cheaper than the 60v version and will do most of the masonry drilling you'll need except the major core drilling or the like. My wife gave me clearance to buy every tool I would need. Anyone that has used a regular cordless drill with a “hammer drill” feature will know that is ok for just a few holes. I needed to drill about 200 holes into concrete to fir walls and fasten bottom plates. This tool made drilling all those holes almost fun. I don’t know how I have lived without it. I also used the chipping hammer function with a small chisel bit to remove the old shower pan with great results. Chuck failed after 8 holes. The chuck failed after hammer drilling 8 holes with a 3/16” bit. Really depressing that I only got 8 operations out of this drill. I had this drill for less than 1 month after purchasing it so I was able to get a full store credit (did not want to exchange it as this failure shattered my confidence in this product). Bought this for a home project to drill into concrete slab and into cinder block wall. The SDS chuck is easy to use with gloves on, has a safety lock out and drills through concrete 10x than a standard hammer drill with no drama. Would definitely recommend buying one of these for drilling into concrete or masonary. As good as my bulldog but better because it's cordless. Punches holes in concrete like butter! What sds is it a sds plus or sds maxx ? BEST ANSWER: Yes, SDS plus is correct. They are the most commonly found bits, and this can handle up to a 1" solid core carbide bit. The 1" spec is simply informing you as to it's capacity. You can use larger (or smaller) SDS plus bits, it will just be under-powered. 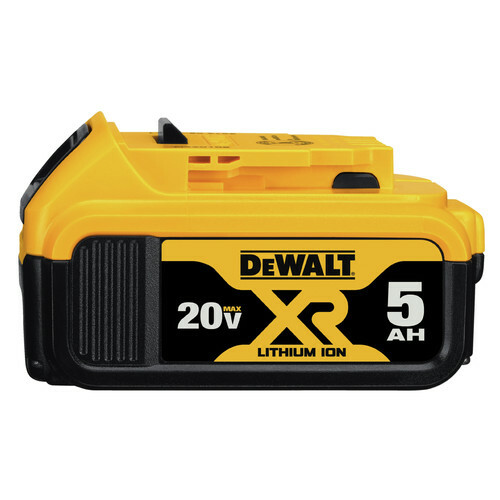 Will regular 3.0 batteries work at dewalt xr? BEST ANSWER: Yes they will work. xr means extended runtime. xr tools are brushless. Does this have 2 settings or 3? BEST ANSWER: This is from manual. It has two. Drill, and Hammer Drill. why does it not say clearly the drill bit type in the specs.? BEST ANSWER: It's an SDS-plus with two modes, drill, and hammer drill. It requires SDS-plus bits. They are the most commonly found.